In this post, Lorraine McDonagh, Sarah Blake, Fiona Stevenson, and Fiona Hamilton (on behalf of the DECODE study team) reflect on the unexpected consequences of researching unexpected consequences. 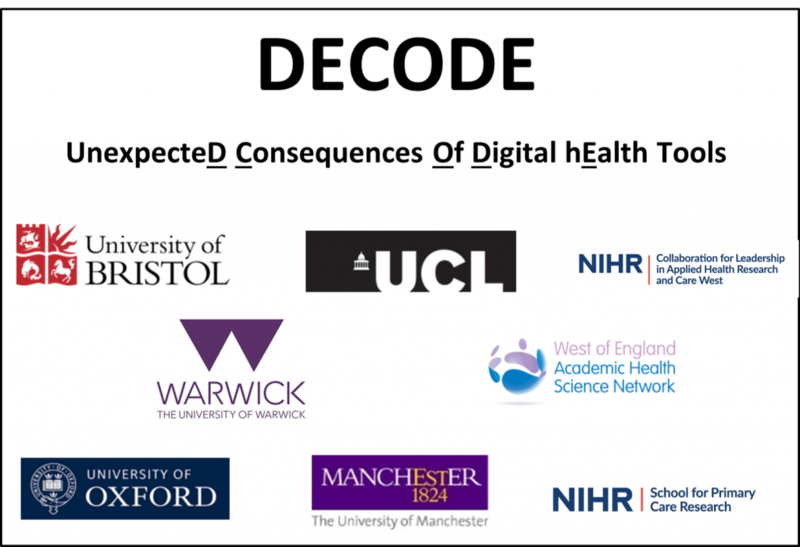 The DECODE (UnexpecteD Consequences Of Digital hEalth Tools) Study aims to explore the unexpected consequences (both positive and negative) of digital health technologies for patients, GPs and general practice staff. We are particularly interested in smartphone apps, online consultations with GPs, and patients having online access to their medical records. The project is funded by the NIHR School for Primary Care Research. 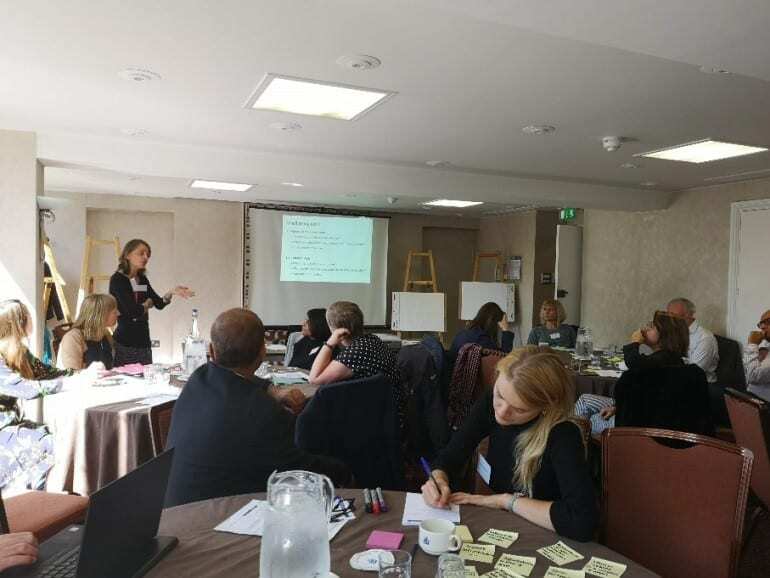 Late last year, we ran a workshop with members of the public/patients, researchers in the field, technology developers, and GPs to help identify areas we should be thinking about when considering the unexpected consequences of using digital tools in primary care. The findings of this workshop are discussed elsewhere, but here, we reflect on the unexpected consequences of researching unexpected consequences. Setting-up the workshop proved more challenging than expected. We wanted to have equal numbers of people in each of our key stakeholder groups – patients, researchers, technology developers, GPs and practice managers. Accessing researchers and GPs interested in this topic was reasonably straightforward – possibly because most members of the DECODE team fit within one of these groups! However, we didn’t manage to recruit any practice managers, despite repeated emails and phone calls, keeping in mind that attendance was voluntary. We put a lot of effort into seeking out technology developers, we even signed-up for a Premium LinkedIn account and contacted developers directly but no one responded. Eventually, after exhausting all our contacts and trawling the internet, four technology developers agreed to come. We planned to organise attendees by profession into mini-discussion groups, but on the morning of the workshop, three technology developers could not make it and had to drop out. We learned the one technology developer who turned up also had research experience so we decided to pair him with the researcher group. Unexpectedly, we soon learned that many people in attendance had multiple roles and could bridge across several of our pre-defined groups – for example, one patient was an ex-GP, one PhD student researcher was also a GP, and the technology developer was also a former GP. Importantly, not all unexpected consequences are negative; we gained more insights than expected. For example, one GP gave an impromptu presentation of how well his practice has been using digital tools. At points, different competing priorities among the diverse stakeholder groups were evident, with some interested in the practical unexpected consequences, such as data security (the patient and GP group), and others keener on theoretical standpoints (the researcher group). To illustrate, one task was to discuss what potential unexpected consequences could occur from use of apps, online consultations, and patient access to electronic records. The researcher group felt that this required a literature review and directed their discussions towards devising a logic model for understanding unexpected consequences. 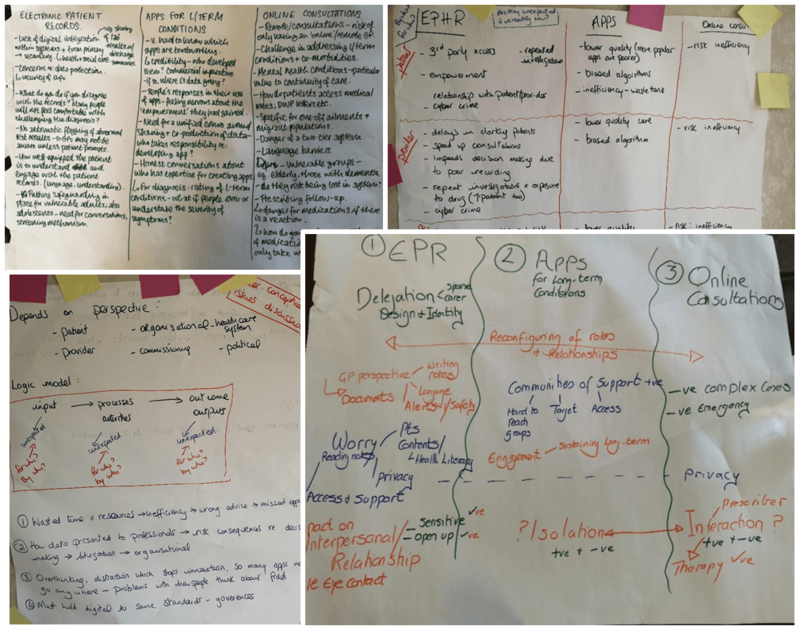 The other groups, however, as anticipated when devising the task, drew on, presented and discussed their own experiences of digital health technologies. Some members of the patient group were concerned about changes resulting from the increasing use of digital health technologies. Unexpectedly, the greatest ambition of these patients was to use digital tools to feel a sense of empowerment and autonomy in consultations and healthcare provision. They spoke negatively about paternalistic attitudes from clinicians and wanted to move towards more equal partnerships and involvement in decision making regarding their health. They felt this could also increase their safety and well-being, as technology would enhance their ability to self-monitor health. It is important to remember that these patients, who gave their time to share their views, are not necessarily illustrative of how every patient would feel. Some patient/public views remain absent from research, despite efforts to bridge these gaps. There are many reasons patient/public views can go unheard; people may be inaccessible due to vulnerability (e.g., those who are homeless, those with learning difficulties, those with languages other than English), or simply by being too busy to be heard (e.g., those with substantial caring responsibilities, those in full-time employment). Building an inclusive picture of patient/public voices remains challenging. The key lesson we’ve learned from this experience was the power of combining individuals across key stakeholder groups. However, we are left wondering what voices have we missed? How do we know the unknowns? To shed further light on these issues, our colleagues at University of Oxford are conducting a conceptual literature review and colleagues at Universities of Bristol and Manchester are conducting interviews with patients, primary care staff and technology developers. Following on from which, we (the UCL team) will be carrying out another workshop with stakeholders. The team is also keen to get as many views as possible on potential unexpected consequences of digital technology. If you have any insights related to these three types of technology or would like to comment on the unexpected consequences identified so far, please contact Andrew Turner or take part in Twitter discussions using the hashtag #DECODEstudy.